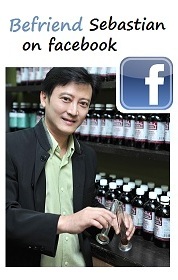 Leaf to Life – Diary | An educational newsletter on Naturopathic Phytotherapy, by Medical Herbalist Sebastian Liew. The latest population study involving 1.2 million children revealed that removal of adenoids and tonsils (and I add appendix) was associated with significantly increased risk of later respiratory, allergic, and infectious diseases. (Click to read more from a medical journal – https://jamanetwork.com/journals/jamaotolaryngology/article-abstract/2683621). My children patients, parents, and I can testify to this truth. Many years ago, I had a child of 9 years old from KL, Malaysia, who was suffering from monthly tonsil infection. She was practically on antibiotics every month. She looked pale and listless. One course of herbal tincture formulation to address her pain and infection plus diet change resolved the symptoms within 2 weeks. And three months on Phytolec (Can purchase in my clinic), the extract of Phyllanthus emblica recovered her immunity. Her tonsils were saved. There was another similar case of a body with adenoid infection. As mentioned by the ENT doctors in the report, the organs play an important role in the immune system. They are there not for nothing. What is important is to treat the root cause of the disease, i.e. the WHOLISTIC way. It is my LEAF TO LIFE method of healing. Leaf to Life is a brand new line of herbal and nutraceutical products formulated by me to treat and prevent diseases based on a wholistic model. Low carbohydrate diet shortens your life? I have been in the wellness industry for nearly 20 years and came across all kinds of diet – macrobiotic, Atkins, South Beach, Paleo, intermittent fasting, calorie restriction, vegan etc. Sure, they may have value for short-term purposes. However, most of them are not sustainable and may do more harm than good. Chances are that you run into deficiency. In addition, you deprived yourself of some occasional indulgences. I have seen many who adhere to a strict and rigid diet and never get better than others. Perhaps the rigidity of the mind is what made them sick rather than the food. You and I are designed to eat everything, as long as you have good digestion. This is why in my book Leaf to Life (Buy now on Amazon or click SHOP in facebook), Assimilation is the 2nd Sacred Letters of Wellness. Sure, I do prescribe an elimination diet for those with allergy etc., but my goal is to help you to be able to eat everything eventually and in moderation. To guide my patients, I created my Leaf to Life diet as described in my book. Another fad diet by Sebastian? If you are looking for a miracle diet, this is not. The Leaf to Life diet is a holistic diet that is sustainable and enjoyable. It is a lifestyle diet, not religion. Health is built by what do on a daily basis and is a lifelong habit. I believe my LEAF TO LIFE diet can help you.